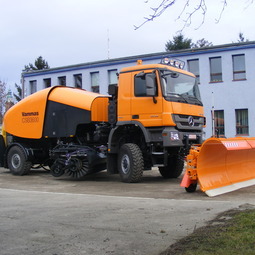 SB 5500 cleaner is designed in a way which work with a truck tractor. 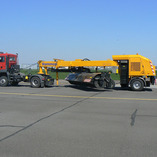 The equipment is designed for airport operations and for work with a snow plough. Electrically driven safety pump for the turning and lifting brush, fan channels and front support. Clutch: Centaflex clutch between the engine and double-chamber pump. 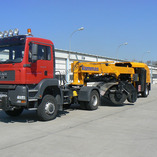 Rear axle: SAF SK ZRLS with wheel steering. Tires: tires on the rear axle, single mounted Michelin XFN 385/65-R22.5, on leading brush wheels 245/70-R17, 5 tires. Electrical System: Two batteries 2x180Ah/12 V remote control of all device functions. Brush: used construction guarantees very precise control of brush pattern and snow removal. 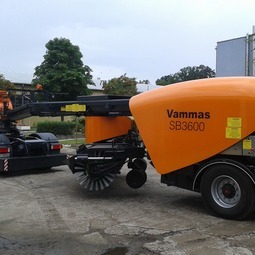 Brush in the working position is completely independent of the machine frame. 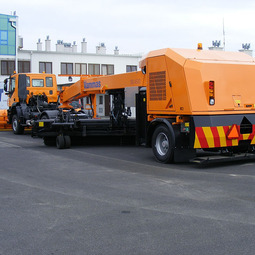 In the operating position, the brush moves as an independent trolley which is only towed and does not hang on the machine frame. 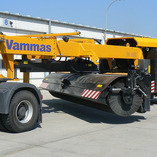 The brush is not affected by the movements of the suspension of the rear axle of the machine and truck tractor. 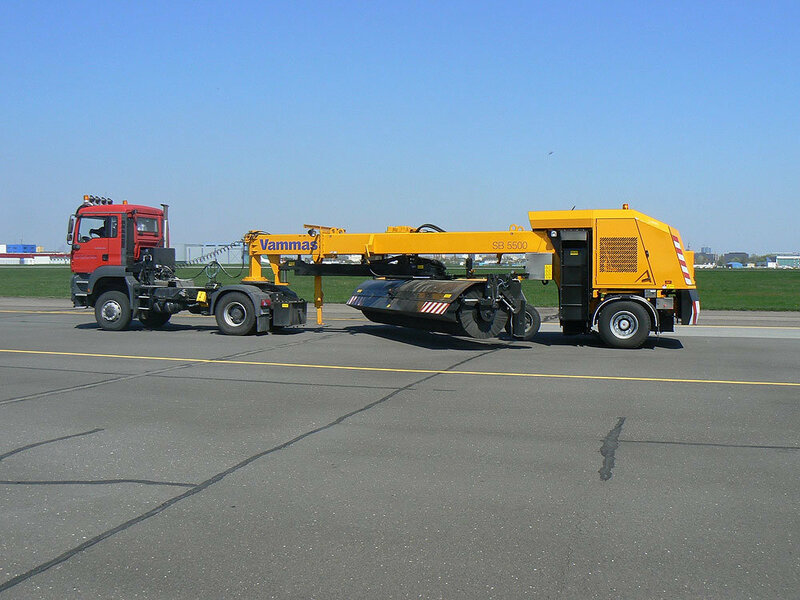 Hydraulic cylinder for raising and lowering the brush does not block movement of the brush up and down, due to irregularities on the runway. Front point of brush unit pull moves floating up and down. Large steered brush support wheels minimizes vertical vibrations of the brush. Specially programmed platform control cylinders, with built-in sensors, accurately maintain the level of brush when changing the direction of work. Precise control of brush pattern. Very little up and down movement of the brush allows for maintaining constant brush pattern. Brush drive hydraulic pressure is maintained at a constant level. 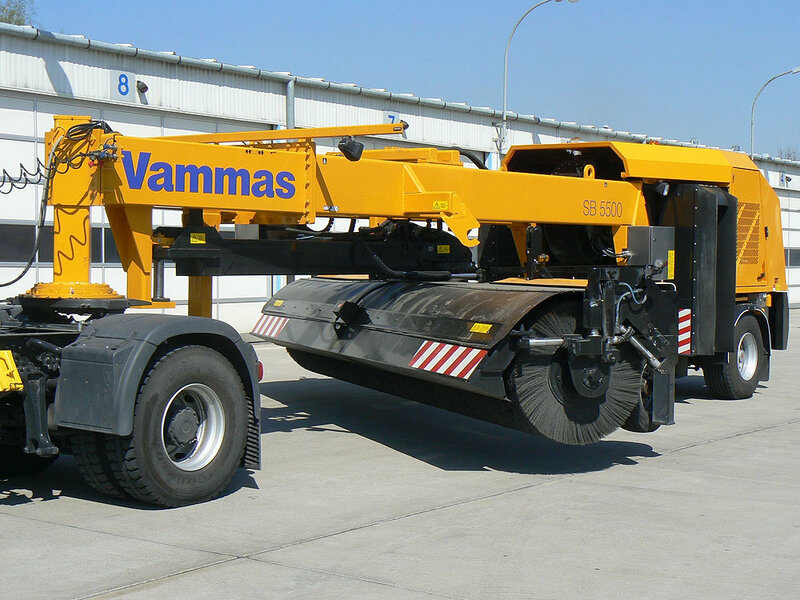 The hydraulic pressure lever is lower than in a conventional system. Fluctuations of hydraulic pressure reduced to 1/3 compared with the conventional system. Diameter of the new roller with disc brushes 1170 mm. Diameter of the new roller with cassette brushes 1120 mm. Number of plates on perimeter 30. The roller core made of uniform aluminum, according to VAMMAS standard, without any screw connections. As an option, brush roller may be equipped with a manual gear that facilitates turning of brush roller when changing cassettes. For disc brushes, machine’s own cylinders are used when changing entire brush roller. Fan: hydraulically driven with a capacity of 10 m3/s.Air is blown at a speed of 500 km/h from a tunnel, located below the fan. 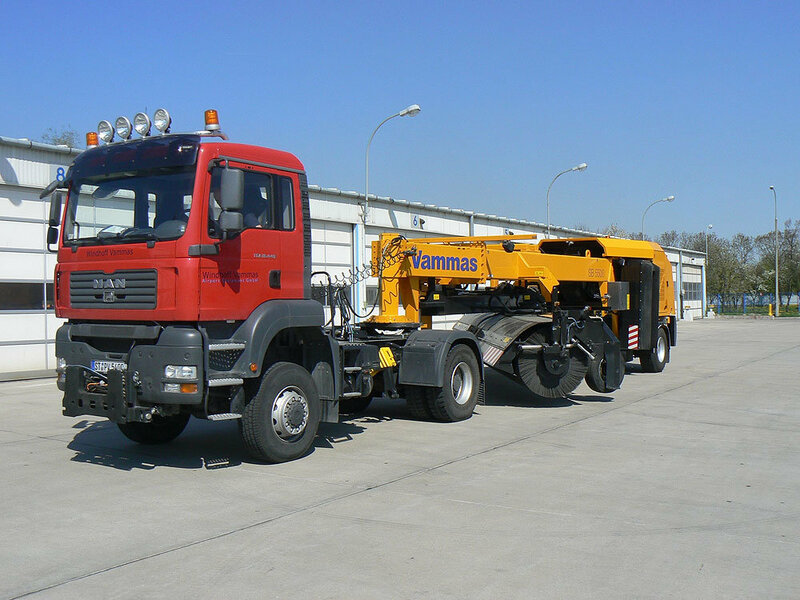 Delivery includes standard documentation in Polish, spare parts catalog, a three-day training course for operators at the customer’s premises.